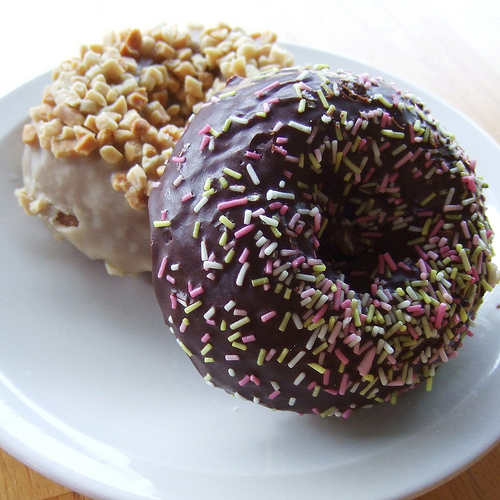 While I hardly need a reason to celebrate to find at-home donut inspiration, today marks the anniversary of the capture of the Donut Thieves of Slidell, Louisiana. In the middle of the night on March 27th, 2002 a couple hijacked a Krispy Kreme Donut truck, resulting in a 15-mile police chase, leaving a trail of donuts in their wake! While Rose Houk was caught in the aftermath of the chase, her partner-in-crime, Clint Messina, evaded police capture until June 9th. Sweet and salty bacon-goodness - need I say more?! Baked, not fried, and with heart-healthy sweet potatoes, these doughnuts are practically guilt-free! Crispy-crunchy and just sweet enough, these ricotta donuts are a super sweet treat. I wouldn't call them exactly healthy, but I won't tell if you don't! 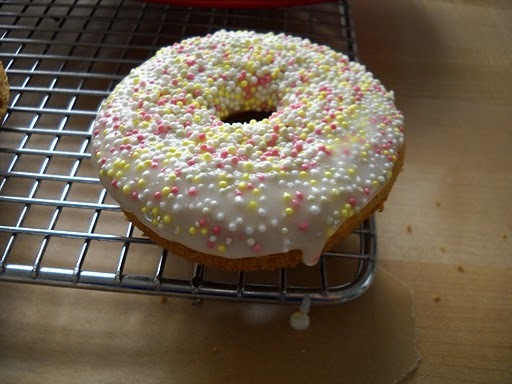 The perfect donut to celebrate summer! With pink frosting and sprinkles, these fruit-filled donuts are ultra-family friendly, not to mention delicious! Fried and fabulous, the perfect place to start! Old-Fashioneds have always been a family favorite, and now you can make them at home. A classic recipe, perfect for Chanukah or all year-round. Baked, not fried. Complete with frosting and sprinkles, what's not to love? !